The Shirazi Lectureship was established in 2014 to honor Dr. Siroos Shirazi, Emeritus Professor of Surgery. Dr. Siroos Shirazi received his undergraduate and medical degrees from Shiraz University in Shiraz, Iran. After completing one year of an internal medicine residency in Iran, he came to the United States and did three years of residency training at Cook County Hospital in Chicago. In 1970, he came to the University of Iowa to complete his general surgery residency. He joined the faculty in 1972, first as an associate and a year later as an assistant professor; he attained the rank of professor with tenure in 1981. Dr. Shirazi has held many different administrative roles within the department through the years including vice chair of the Department of Surgery and six years as the program director of the Surgery Residency. Throughout this time, he also saw patients at the Iowa City Veterans Administration Hospital, serving four years as chief of surgical services there. Throughout his career, Dr. Shirazi has published more than 75 peer-reviewed manuscripts, 10 book chapters, and numerous abstracts. He belonged to numerous societies and organizations, including the American College of Surgeons and the Iowa Medical Society. For the Iowa Medical Society, Dr Shirazi served as secretary-treasurer, vice president, and eventually president. He also was a member of the Iowa Board of Medical Examiners, sitting as chair for the last three years of his service, which ended in 2012. 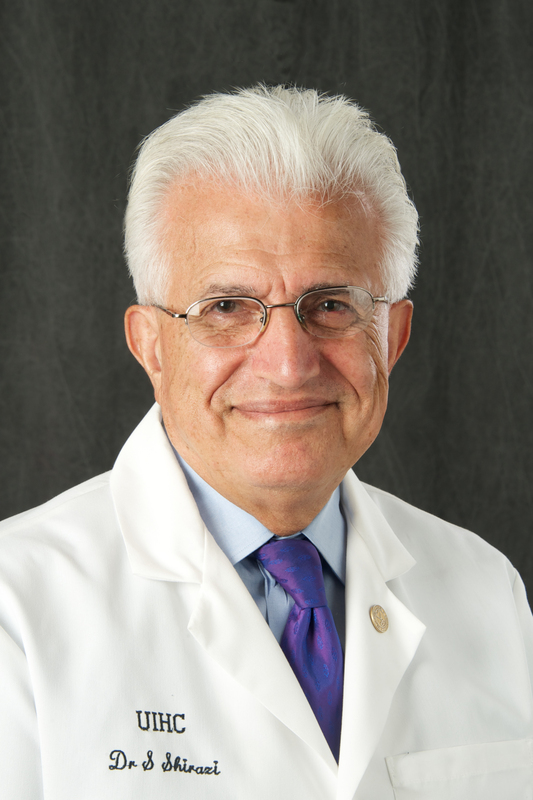 Dr Siroos Shirazi devoted more than 40 years to the Department of Surgery at the University of Iowa and built an extraordinarily productive professional career focused on education and patient care. This lectureship is an important educational tool for residents and continuing education for faculty and emeritus faculty members. The lectureship serves to honor Dr. Shirazi's longstanding dedication to the Department of Surgery and the University of Iowa. "Challenges in Surgical Training: An International Perspective"